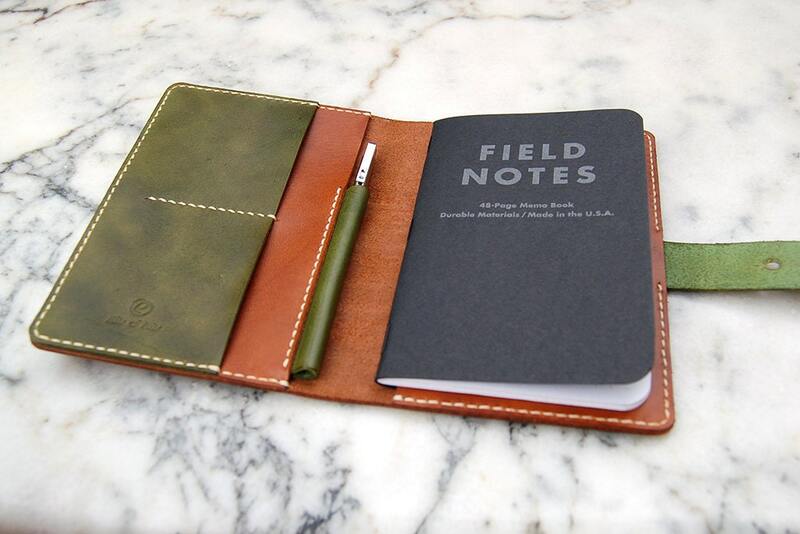 Handmade Field Notes leather cover made from high quality vegetable tanned leather. The notebook cover is 100% handmade, hand-cut, dyed and stitched in our workshop guaranteeing high quality, usability and durability. 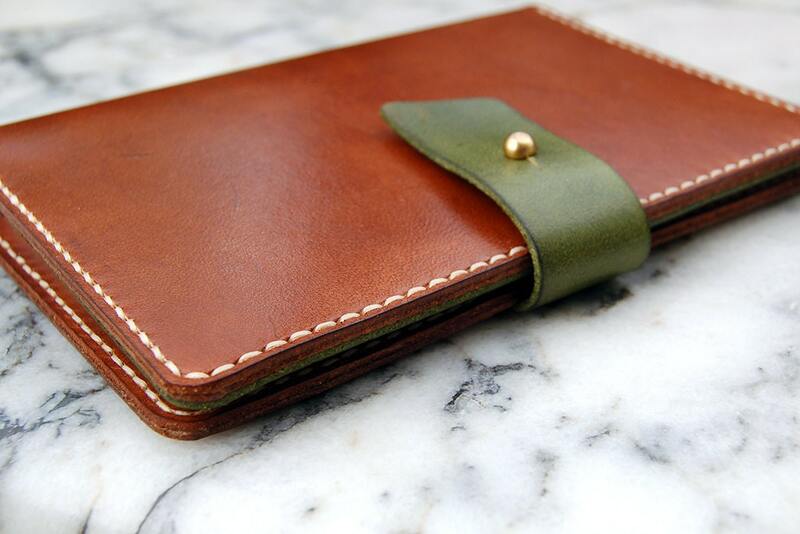 - Outer is Brown while the inner card slots are Green. - It comes with a Field Notes "Pitch Black" 48-Page Memo Book. 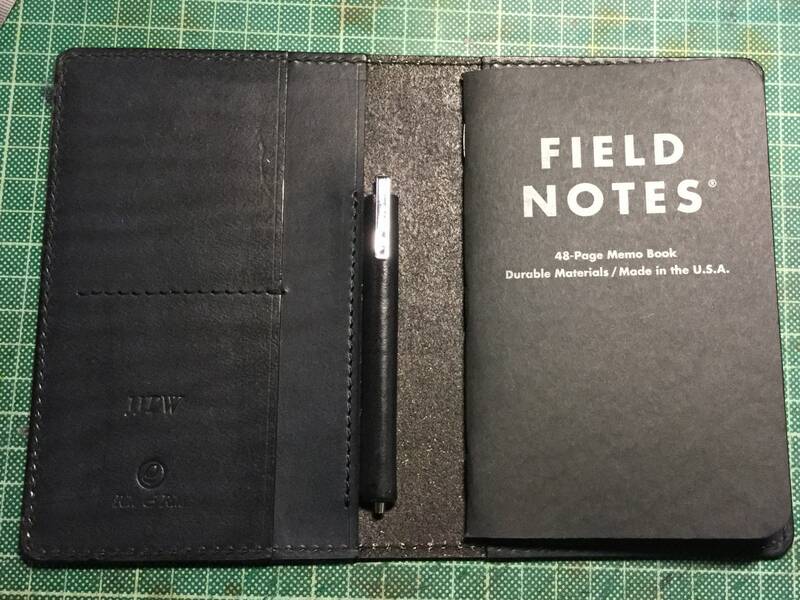 A classic notebook that has an essential every day carry. - It also comes with a Zebra Mini T3 Ballpoint Pen. An exceptional mini pen also referred to as "mighty mini pen". Refills are available in selected stationary stores Made in Japan. 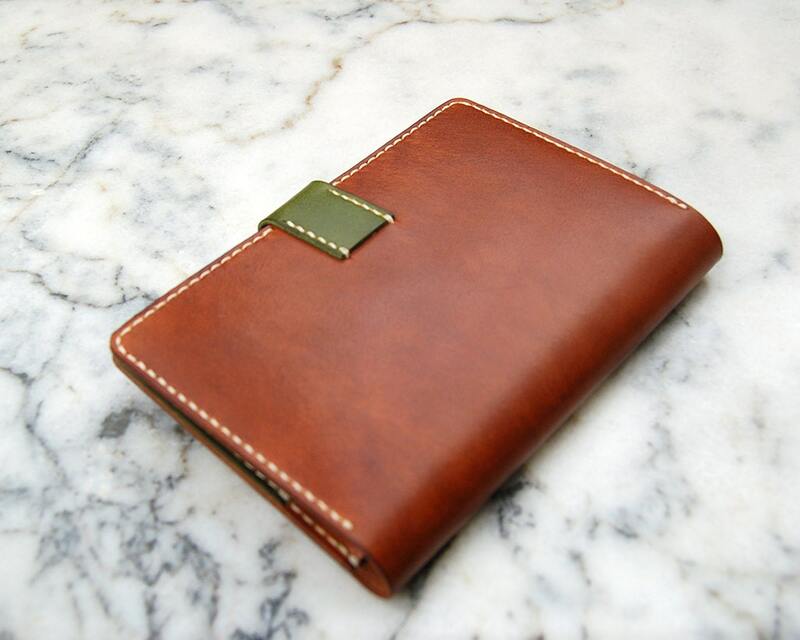 - There are 2 card slots and a wallet sleeve on the left side. 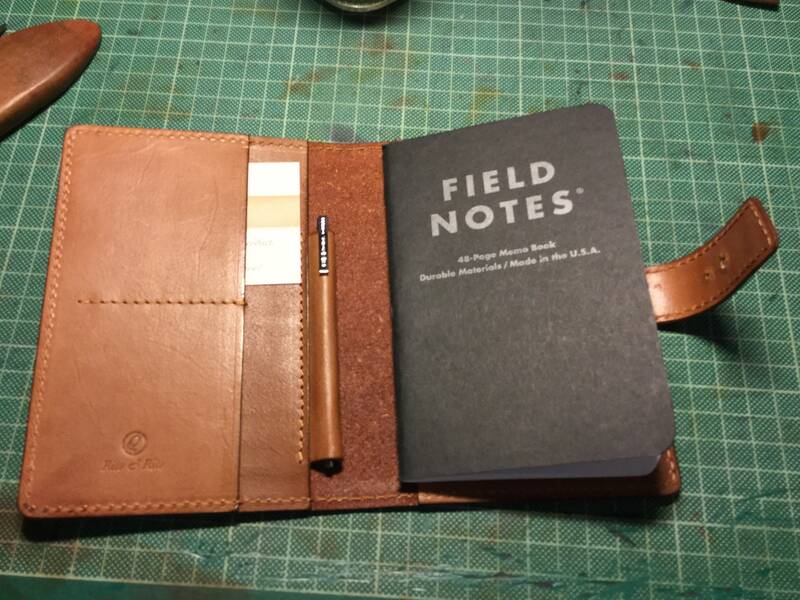 - The Field Notes book fits in a slot on the right side. - There is an option to have a closure strap with the same color of the inner card slots, securing your notebook with a ball stud. - The notebook cover can be personalized for free with initials or name in front or inner side. 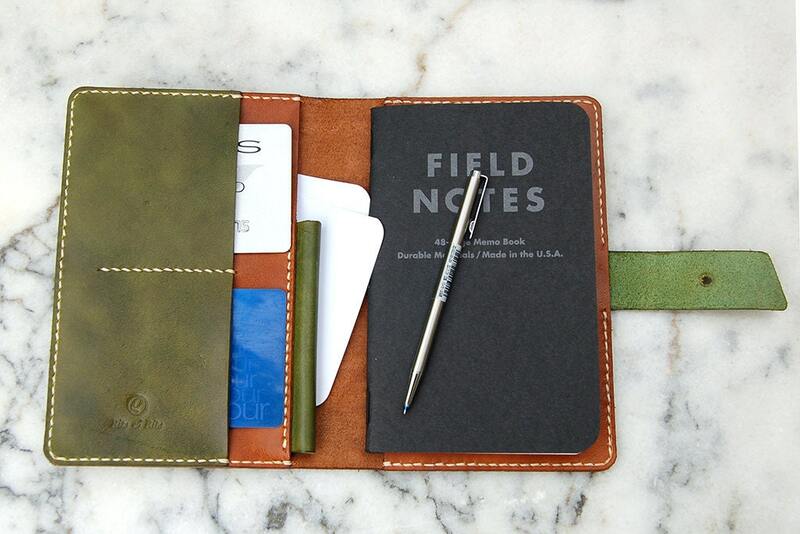 Just leave us a note if you prefer your Field Notes Cover personalized. - Case comes with a canvas bag, ideal for a gift. - We also accept custom design requests, so please feel free to contact us with your ideas. 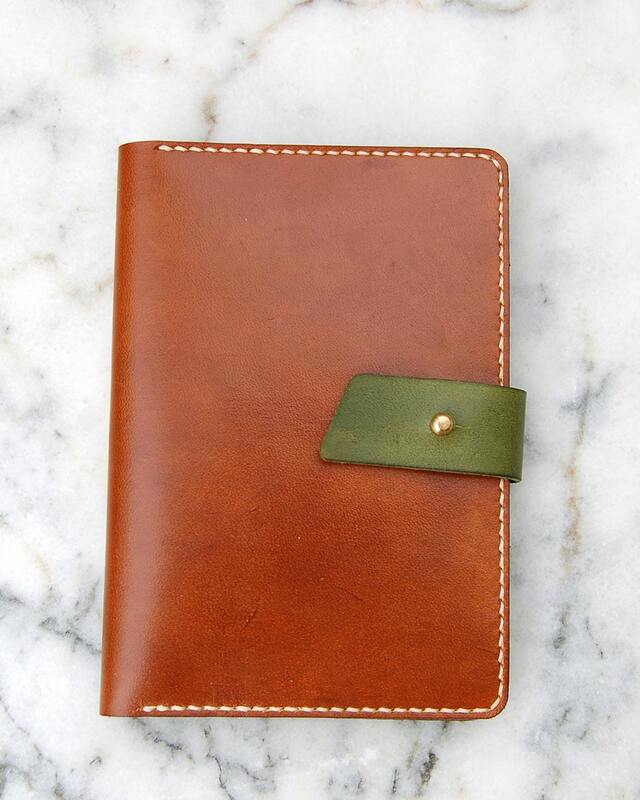 Great quality leather and a perfect size for Moleskin note pads. The stitching is substantial. I expect to use this for many years. solid item, fits in back pocket too. This is exactly what I was looking for, and it is the perfect size. The quality is excellent. Thank you.